Our day-to-day lives are all hustle and bustle. Going to work, getting groceries, making dinner, taking a yoga class – we’re constantly multi-tasking. So why shouldn’t our skincare products do the same, right? An Antioxidant derivative of Vitamin A, Retinol is an over-the-counter variant from the Retinoid family that is the skincare all-rounder that is a multi-taskers dream. Retinol combats signs of aging inclusive of clogged pores, UV damage as well as fine lines and wrinkles. The antioxidant is related to the prescription-level Tretinoin (aka Retin-A), Retinol is considered to be a gentler alternative, that can bring effective results with less irritation. We’ve broken down each of these benefits so you can understand what to expect from Retinol before and after incorporating it into your regular routine. Collagen is one of the main building blocks of our skin and when our bodies don’t produce enough, the signs of aging start to develop. One of the by-products of getting older is that our bodies don’t produce the protein in the same amounts as it did when we were younger. Couple that with the fact that Collagen also begins to break down as we age and you have a recipe for fine lines and wrinkles like no other. Enter: Retinol. The Antioxidant actually slows down the process of collagen breakdown by preventing the rise of an enzyme called Collagenase and also by helping to prevent a process known as Glycation from happening. This is when the sugar in your blood attaches to proteins to form Advanced Glycation End Products (or AGE’s for short – how ironic) weakening the skin and its structure. The Antioxidant goes even further than that! It also helps thicken the deeper layers of your skin, where wrinkles get their start. Expect to see some results for lines after 2-3 months with more advanced ones for deeper wrinkles happening anywhere within 6-12 months. So many things change as we make our way through the years and that includes the ability of our cells to turn over at the same rate. The accumulation of dead cells on the surface of our skin can cause rough texture as well as a more uneven tone. Here is where Retinol saves the day again. The Antioxidant will boost cell regeneration, refining the surface of the skin and smoothing it out. This process also has positive results on reducing the negative effects of UV damage and diminishing dark spots by helping to manage the production of Melanin, the pigment that adds color to our skin. Expect improvements in terms of your skin texture and tone starting from about 2 months with more advanced results showing up in 3 months onwards. Elasticity is that magical property that allows skin to snap back into place when you apply pressure to it. Our body stops producing Elastin in abundant amounts in our teenage years or early adulthood and much like Collagen; this protein also weakens over time. Retinol is not only linked to strengthening this essential protein but some research even indicates that it helps build it. When the effect on Elastin is combined with the boost in Collagen levels Retinol brings about, the layers of our skin structure improve resulting in an increase in firmness. After about 3 months you’ll start to see these effects and in 6 months, you can expect more significant results. For all the positive changes that happen before and after the course of using Retinol in terms of skin firmness, it won’t provide as advanced results for sagging and the loss of volume (from the likes of shrinking fat pads and bones) as rejuvenating treatments like injectable fillers will. Curious to learn more about what injectable fillers do, then check out our in-depth guide that covers how they work as well as provides in-depth information on some of the more popular ones on the market. Clogged pores are one of the main causes of breakouts. When the follicles on your face, neck and back get plugged up with oil, dead skin cells and dirt and then you add the additional encumbrance of pore-clogging products (be it makeup, moisturizers, serums or whatever), blackheads and whiteheads form. We’ve already mentioned that Retinol helps cell turnover, but did you know it also regulates sebum production? Although it’s not recommended for more serious breakouts due to its sensitizing nature, Retinol’s ability to manage the oil produced by your body will lead to a reduction in blackheads, whiteheads, and clogged pores. Not only that but consistent use of Retinol can also minimize the appearance of large pores by cleaning out that excess dirt and oil buildup. When Retinol removes dead skin cells and causes cell turnover, the new cell growth produces healthier, plumper cells that create the visible effect of smaller pores. The best news is that Retinol starts to work on your pores as quickly as 1 month, with advanced improvements starting from 3 months onwards. Trying to find the perfect moisturizer that won’t clog those lovely pores? Check out our guide to the benefits of non-comedogenic moisturizers. WHAT STRENGTH OF RETINOL IS BEST FOR AGING CONCERNS? While many companies don’t mention the concentration of Retinol in their formula, as a general rule: the higher it falls on the list of ingredients, the more of it there is. 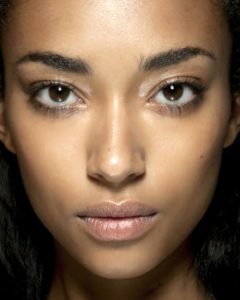 Generally speaking, you should be on the lookout for skincare products that have Retinol levels of between .025% to 1%. Being the lowest, .025% makes sense for those seeing the first signs of aging while 1% is best for more treating more advanced concerns. 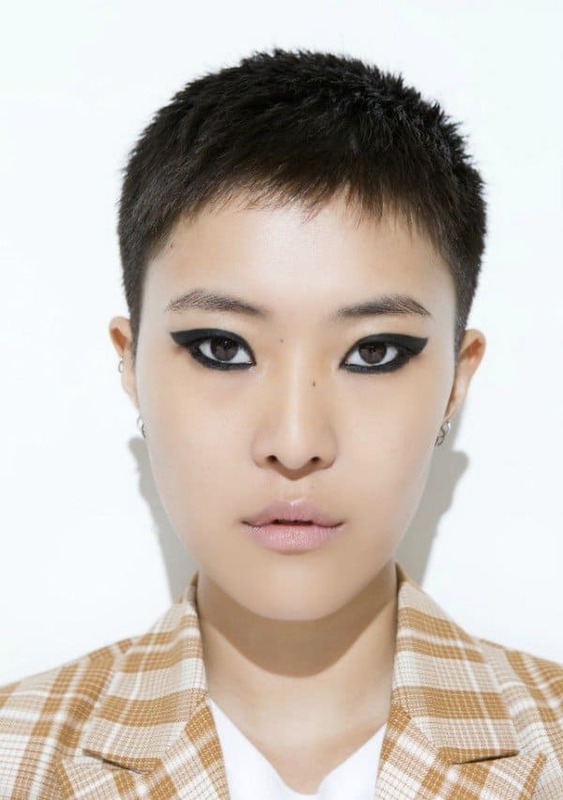 Although 1% is supposedly the highest strength allowed for over-the-counter products there are some formulas that advertise 1.5% concentrations of Retinol. With these formulas its important to make sure to be cautious, especially if you’re not used to the ingredient. 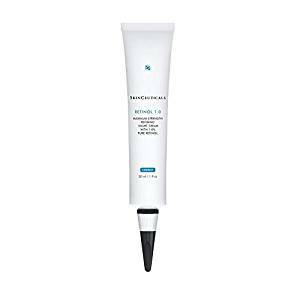 Skinceuticals 1% Retinol cream combats the advanced signs of aging. The fast absorbing formula is lightweight and doesn’t leave skin with a greasy residue. If you feel the high level of Retinol will be too sensitizing for your skin, consider trying the 0.5% ($64) variation. 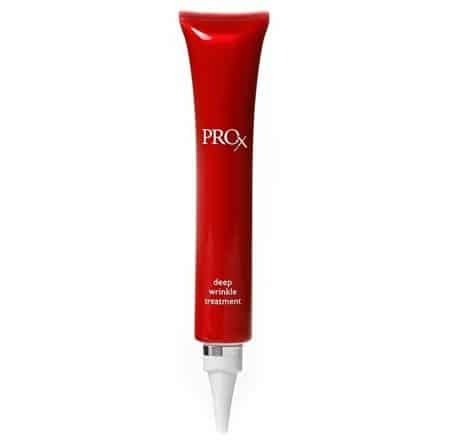 Olay Pro-X’s lightweight moisturizer is not only on the affordable side of things but it combines a number of powerhouse ingredients including Niacinamide (Vitamin B3) with Vitamin E, Peptides as well as Retinol. Unlike many of the jar packaging options available at the drugstore, this oil-free formula’s active ingredients stay protected in the opaque tube packaging. By including skin-beneficial ingredients like Niacinamide (Vitamin B3), Skin Medikas’ formula provides advanced results against signs of aging like discolorations. Other key ingredients included in the fragrance-free lotion include Vitamin E and Squalene to soothe the skin. If your worried 1% is too strong skin think about trying the gentler variations of either 0.25% ($62) and 0.5% ($78) Retinol strengths. Jan Marini’s extremely popular Retinol formula has not only won New Beauty’s awards twice in a year but has developed a cult following. The night cream packs in multiple rejuvenating ingredients inclusive of retinol, peptides and a variety of skin-replenishing antioxidants such as the potent Green Tea Extract. 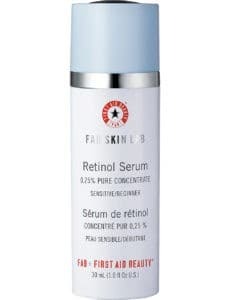 With .025% Retinol First Aid Beauty’s formulas is great for people with sensitive skin or those who are just starting out with retinoids. In order to boost the formula’s ability to help with cell regeneration, the formula also includes several advanced peptides. Also be on the lookout for Oatmeal and Vitamin E in order to minimize irritation and calm skin. Alpha Skin Care’s fragrance-free cream combines ingredients like Retinol with Vitamin C and E in order to maximize its rejuvenating abilities. The cost-effective formula is protected by the opaque packaging and is gentle enough for even sensitive skin (at least those not prone to breakouts). If you’re interested in exploring Retinol further make sure to check out our article that provides more in-depth information on the strengths of Retinol and more. In order ensure your skin is not sensitized, you should be using gentle products in your skincare routine. Be on the lookout for mild cleansers, well-formulated moisturizers and serums packed full of antioxidants. In so doing, you’re helping your skin maximize the benefits offered by Retinol while minimizing the negative side effects. In fact, Retinol works really well in conjunction with Niacinamide (Vitamin B3), which is a popular antioxidant known for its skin clarifying properties among other things. If you’re interested in learning more, make sure to check out our in-depth guide on the ways Niacinamide improves the skin, inclusive of benefits, best practices and more. Keep in mind that Retinol deteriorates when exposed to the elements like air and light, so consider only buying Retinol in airtight and opaque packaging – basically avoid anything in a jar. As the ingredient can take some for your skin to get used to make sure that when incorporating it into your skincare routine, you do it slowly so as to minimize possible irritations. Generally speaking, you should also be applying your Retinol at night since as we mentioned above the Vitamin degrades with exposure to the sun. On one hand, summer is actually considered to be a good time to start using a Retinoid because the humidity makes your skin less likely to get as irritated while it adjusts to the Antioxidant. On the other, although the jury may still be out on the sensitizing effects of Retinol on your skin in terms of the sun, we do know that it boosts cell turnover and that’s why we’d still stress the importance of investing in a broad-spectrum sunscreen. Make sure to check out our in-depth run-down if you’re trying to figure out how to pick a good sunscreen. Although the positive changes that happen to skin from before and after using Retinol are definitely worth the wait there are still a couple of potential common side effects. These may include irritation, peeling, extreme dryness and redness that are especially prevalent when you first start using Retinol. This being so as a wise man once said, patience is a virtue. Give it 2-6 weeks to allow your skin to adapt to regular use. 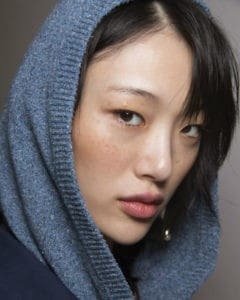 Even better as we mentioned above don’t rush it and slowly ease Retinol into your routine to avoid a rough transition. Generally speaking, a pea-sized amount is enough to cover your whole face and some experts say that should also consider washing your face about 15 minutes before application. Curious about the powerful prescription-only form Retinoid Tretinoin (Retin-A)? Explore our in-depth guide to learn more about how Retin-A works that also include what it does as well as best practice usage.